Framed: 27.375 x 30.875 in. Inscription: "To Katie & Tom. Photographing The Bull. 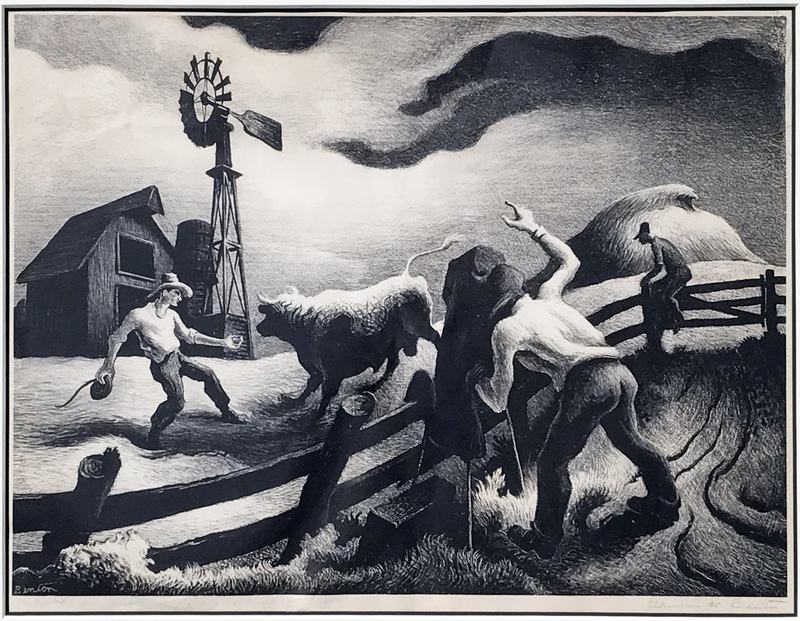 Thomas H. Benton"